Trapped in a dead-end job… or worse, no job at all? Would you like to escape this nightmare situation and start your own company? 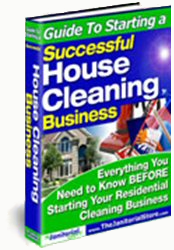 Make Money Cleaning 101 — the entirely free janitorial education — reveals the secrets that allow you to build your own cleaning business... for next to nothing! 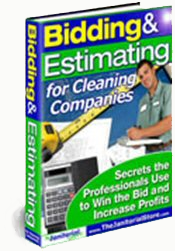 Don't be fooled into thinking you need thousands of dollars to start your own cleaning business. That's what they want you to think — the naysayers and other janitorial firms. I've been in this business for over thirty-five years. I've built and sold a total of four janitorial businesses. And every time I easily started each business for under $100! The sad truth is, most people are unhappy prisoners of their jobs. They are held captive in a system designed to exploit and exhaust them until they are no longer able to produce... only to be discarded unceremoniously like a worn-out pair of shoes. Financially, to be TRULY free, you must have enough money to live the rest of your life the way you truly want to live it. For some this might mean earning a simple yet consistent $50,000 a year. For others, though, this requires earning $100,000, or considerably more. The point is, you have to determine how much money you need for the lifestyle you'd like to live and then have a sure way of acquiring it. 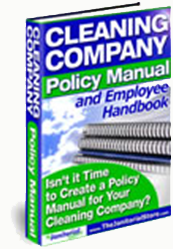 Make-Money-Cleaning-101 offers you a sure way — a proven method that paves a clear path to significant earnings success! And the best part is... this education is entirely free!!! What's Included in the Free Course? 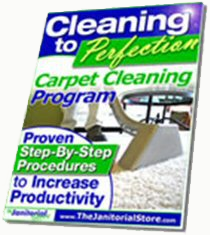 There is no point in complicating the path to success in janitorial. One focus at a time is all that's needed. There are several marketing options, but only one stays within your budget and works like a charm. You'll also learn the best days for distribution of your advertisements. There is work out there not only easier on your $100 budget, but also easier to acquire. And once you acquire one — you acquire many! You will get calls. Know what to say without freezing-up or sounding unprofessional. Your ad got you here. Know what questions to ask and what questions to answer when given a tour of the prospective client's office. Your bid will be based on the information you gather here. Make-Money-Cleaning-101 has put together a variable-price chart so you never have to guess again what price to charge your customers. A quality, good-looking, proposal is like leaving a second sales-person behind on their desktop. A great proposal speaks volumes but can be rather involved to put together. Don't want to create your own? Simply use one of the available templates. Another opportunity to shine. Know how to show the key elements of the proposal, even if their time with you is short. Mapping a strategy to profitably clean an office space — from the top down. The Do's and Dont's of office cleaning. One chemical alone can cost you dearly if misused. You will eventually need this skill. I'll simplify this procedure step-by-step. New equipment can be rather pricey for a beginner. For your initial needs, there's a significantly cheaper way. You can grow only so far before you'll be needing employees. Know your options. There's a wealth of ideas to grow and protect the company you've built. You don’t have to keep scrolling through this online tutorial or thumbing madly through the complementary eBook to refresh your memory on specific categories. Just push a button on the Dashboard, read the instructions and complete the assigned step. It’s easy. You may treat each assignment button as a weekly step or, if you’re fast, each row of three buttons as a weekly step. You choose the speed that’s right for you! Documentation and consultation services are available to speed-up your success. Don't let a single job get away. If your pressed for time, simply and quickly use any of the available documents — or allow us to complete them for you. To Own and Operate Your Own Business? Think about it — in this tough economy, doesn't it make sense to be in charge of your own fortunes, controlling your own destiny? Can you picture yourself earning $50k? 100k? More? I bet you know at least one person who's lost their job during this monster recession... Maybe even yours was lost! But the business of janitorial is a 90 billion dollar industry. There will always be a need for cleaning. And don't even begin to think there's not enough janitorial work out there for you. Successful janitorial firms move on to larger projects leaving the smaller work behind for individuals like yourself to get started with, not to mention the work you'll get from directionless janitorial firms that eventually crash and burn. With the right direction (which Make-Money-Cleaning-101 provides), acquiring this abundance of work becomes relatively easy, no matter what the economic climate is. 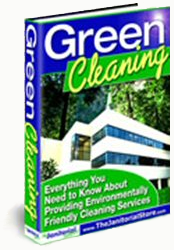 Make-Money-Cleaning-101 is a free education complemented with an 80 page eBook (in downloadable PDF form), which also can be printed-out for quick reference. Occasionally a video will prompt you to look at a specific page on your eBook because certain images are more detailed on a larger 8.5 x 11 format than what a video window is capable of displaying. One can even forgo the video education and simply apply the same lessons found in the eBook. Either one or both together will walk you through the necessary steps to start a successful cleaning business.